Technology is rapidly evolving every day. In our fast-paced world, industry professionals are balancing work and life demands while also seeking additional training and education to be successful in their field. The Samuel Ginn College of Engineering is doing its part to match these demands through its online educational offerings. 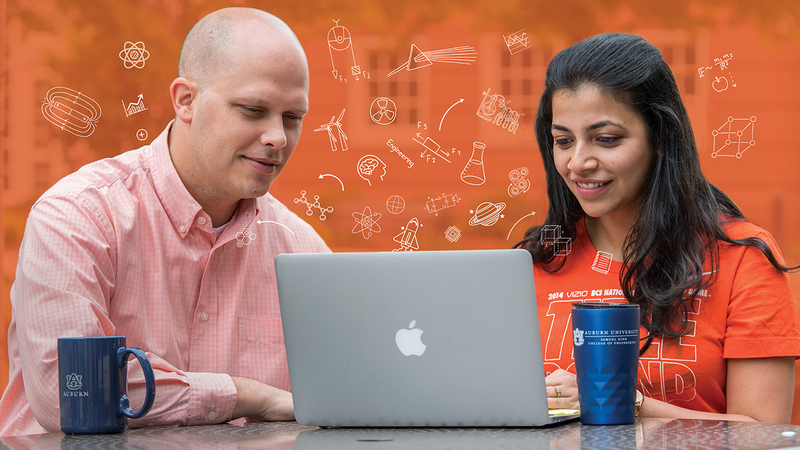 Auburn Engineering Online and Continuing Education offers students the opportunity to continue their academic journey at their own convenience through flexible, online courses. The graduate online program is ranked 15th in the nation according to U.S. News & World Report, and combines traditional instruction with the latest delivery methods to offer educational opportunities beyond the campus. Online students receive the same lectures, assignments and exams from engineering professors as their on-campus peers. The admissions process, performance expectations and degrees are identical to those on-campus graduate students. To continue to meet the demand for relevant and in-demand academic offerings for students and industry, Auburn Engineering Online and Continuing Education offers three brand new degrees — the Master of Cybersecurity Engineering, Master of Engineering and Master of Engineering Management. The Master of Cybersecurity Engineering, housed in the Department of Computer Science and Software Engineering, equips students with the advanced education required to analyze, develop, investigate, protect and defend computer information systems. The degree also concentrates on engineering and the technical aspects of cybersecurity. With cybersecurity becoming one of the nation’s most discussed issues, this degree will prepare individuals to identify, assess and provide solutions to thwart cyber attacks. The Master of Engineering degree allows students to design a specific degree tailored to fit their needs and is not limited to one engineering discipline. The Master of Engineering Management, housed in the Department of Industrial and Systems Engineering, is designated for students who are currently working in an engineering-related field and want to expand their career potential. Students who complete 30 hours will earn a Master of Engineering Management in one of four options — manufacturing, occupational safety and ergonomics, systems or product innovation (anticipated in 2020). The degree is the only of its kind in Alabama and was ranked fifth in BestCollegeReviews.org 2018 Top 50 Online Master’s Degrees in Engineering Management. For those students interested in continuing their education, but may not be ready to pursue a graduate degree, graduate certificates permit students to take individual courses in their chosen area of interest. This option allows individuals to continue building their knowledge in a specific area while also receiving academic credit. 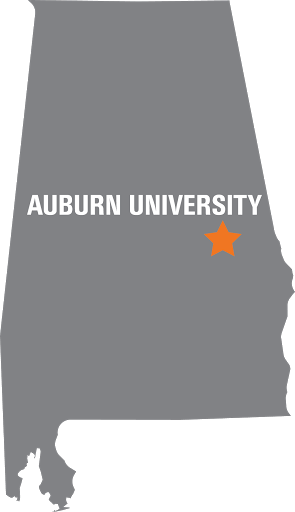 If an individual applies to Auburn Engineering’s online program, and is accepted, any earned certificates may be later applied toward that student’s degree. The GRE is not required to enroll and there is no limit to the number of certificates a student may earn. Mirroring the upward trajectory of the graduate online degrees, several new graduate certificates have been added or will be offered soon. Auburn Engineering Online and Continuing Education offers a type of versatile program that appeals to potential students in any engineering-related discipline. Students have the opportunity to gain new knowledge, increase their professional opportunities and create a brighter future, all from the comfort of home, work or anywhere. And for students who are eager to expand their knowledge on topics related to their career, graduate certificates offer a perfect blend of becoming better educated in a specific area while banking those credit hours toward a degree. It may be a fast-paced world filled with work and family commitments, but that doesn’t stop individuals from continuing their education whether near or far. Auburn Engineering Online and Continuing Education will continue to change, adjust and grow to reflect the increased demand for online learning — and like its students, can’t wait to see what the future holds. Learn more about the graduate online programs here.